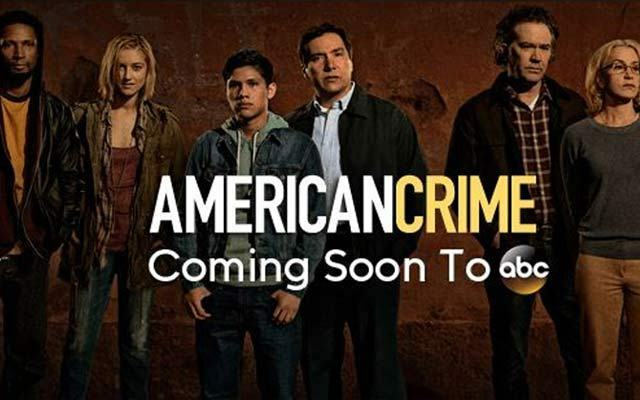 AUSTIN, TX Casting Notice – ABC series ‘American Crime’ for work on FRIDAY 8/15/14. Pay rate for EXTRAS is $58.00 for 8 hours ($7.25/hour with an 8 hour guarantee). Overtime will be paid after 8 hours. You will receive a check in the mail 7-10 business days AFTER you work. We do NOT have Call Times yet but it WILL go late into the NIGHT!! You should have FULL and flexible availability to work day into night whatever the Call Time ends up being. Parent or Guardian MUST be present on set with Minor at all times. . Location is in the AUSTIN, TX area. To submit for work – Please EMAIL US ASAP to: americancrimecast@gmail.com with subject line BLOCK PARTY KID.. You MUST include your first and last name. MUST also have a recently updated (within the past 6 months) talent profile in the OLC database! Your photo MUST be good quality, facing forward, NO sunglasses and you must be the only person in your picture!! **PLEASE DO NOT send more than one email! PLEASE DO NOT email if you don’t fit these casting requirements or are not available on the listed work date!! Thanks! If you have friends or family that fit this decscription but do not have a profile with us, please have them go to http://www.onlocationcasting.netand complete a Talent Application before sending email that you are available. It is FREE to register and you do not have to have a paid ‘active’ account in order to be booked for work. AUSTIN, TX Casting Notice – ABC series ‘American Crime’ for work on TUESDAY 8/12/14. –NEW FACES who have not yet worked on this project!! *MUST HAVE PROOF of TEXAS RESIDENCY such as TXDL, TXID, TEXAS COLLEGE ID, OR TX Voters registration card. TENTATIVE Call Time is 07:00am but you should have FULL and flexible availability to work ALL day no matter what the Call Time ends up being. ALL day is 10-12 hours. ATTORNEYS: male and female, all ethnicities, age range 30-60, upscale, professional, clean-cut, conservative, MUST have suits!! To submit for work – Please EMAIL US ASAP to: americancrimecast@gmail.com with subject line TUESDAY BOOKING. You MUST include your first and last name & contact number. MUST also have a recently updated (within the past 6 months) talent profile in the OLC database! Your photo MUST be good quality, facing forward, NO sunglasses and you must be the only person in your picture! !